Saturday mornings cold temperature may lead to crop injury in low lying areas across Southern WI. Based on the development in our wheat plots the highest risk for yield loss would likely come in the southern tier of WI counties. 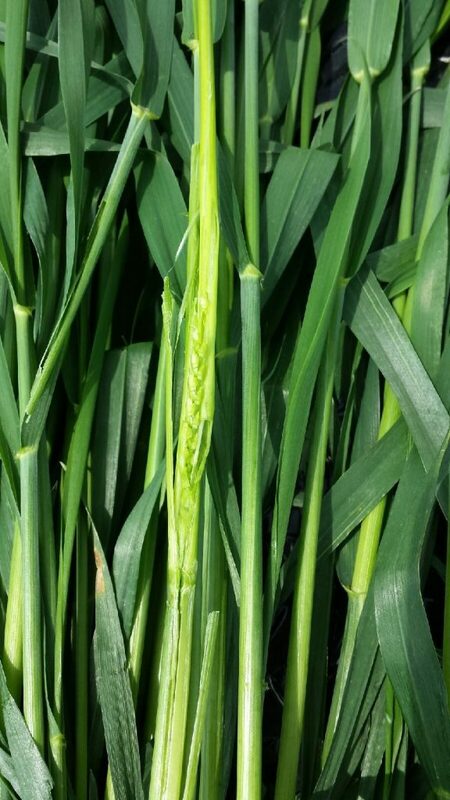 The wheat at our southern locations are either at the Feekes 8 (flag leaf visible) or 9 (flag leaf ligule and collar visible) crop growth stage dependent upon variety. Crop injury at these growth stages would occur in the 24 to 28 (duration of up to two hours) degree F temperature range. We did not see this temperature extreme at our Arlington location (Image 2; low temp of 30.5) however I have heard reports of extended cold temperatures in the sub 28 degree F range. Image 2. 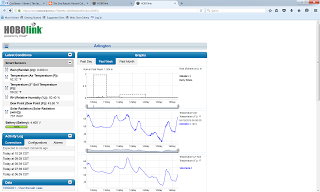 Arlington WI weather data for the last week. The two types of crop injury I would be concerned about include stem damage and spikelet (head) injury. 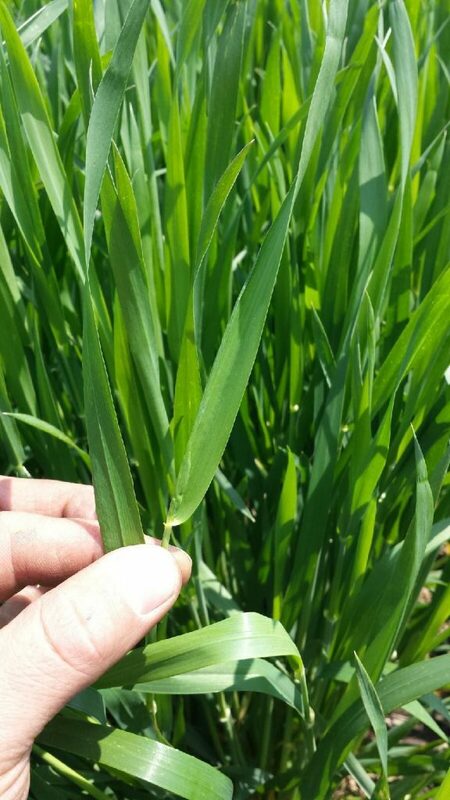 In Image 3 below you can see the brown discoloration and water soaking to wheat stems caused by freeze injury. 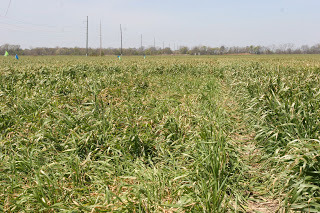 This injury eventually lead to severe lodging among select varieties (Image 4). 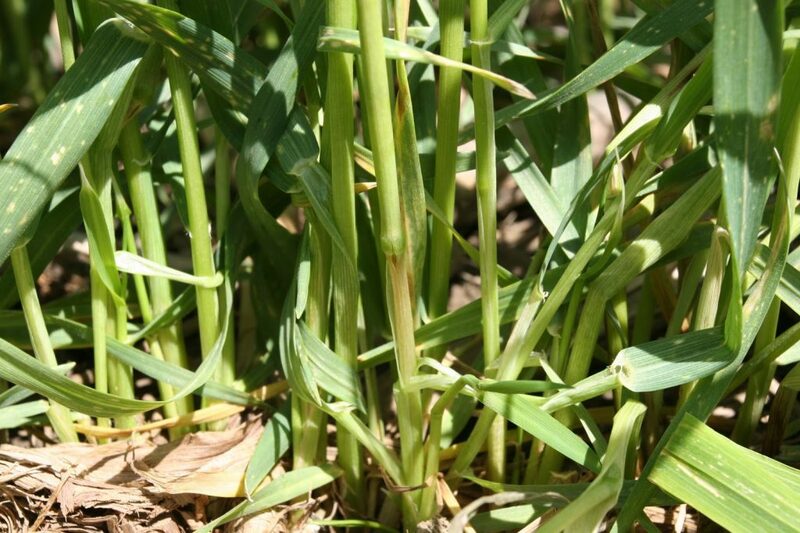 If you see this type of injury it would be best to take this field as a forage crop ASAP. Image 3. Freeze damage to wheat stem. Image 4. Subtle difference is crop growth stage led to severe lodging due to freeze injury. The other type of injury would be direct damage to the wheat head. Peel back the boot and expose the wheat head. If healthy individual florets on the spikelet will appear pale green (Image 5). If they begin to appear water-soaked or off colored (brown) then crop injury occurred). Image 5. Healthy spikelet and florets. 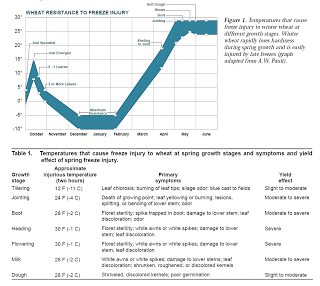 For more detailed information I have attached a link to a publication entitled Spring Freeze Injury to Kansas Wheat. For ease I have also removed a table from that publication to stress the importance of growth stage on damage potential (Table 1).